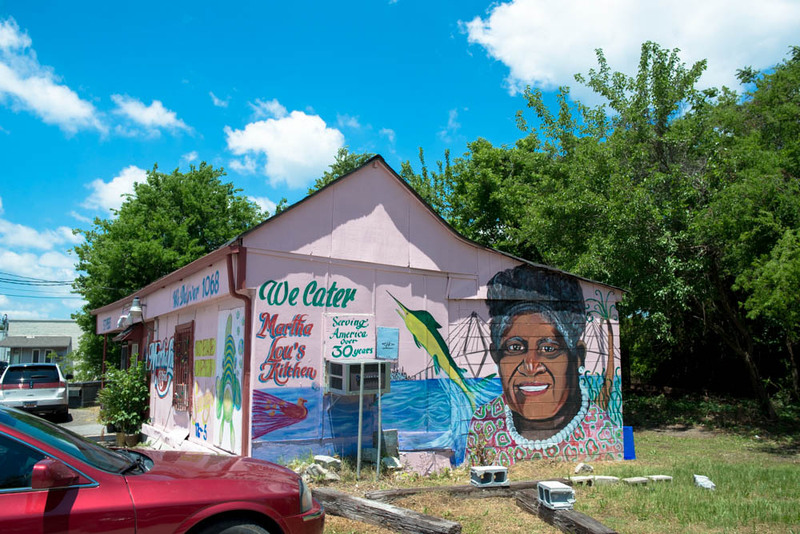 We started out the trip to Charleston with a traditional feast at The Hominy Grill and it just seemed appropriate to end our short stay here with lunch at another local favorite, Martha Lou’s Kitchen. 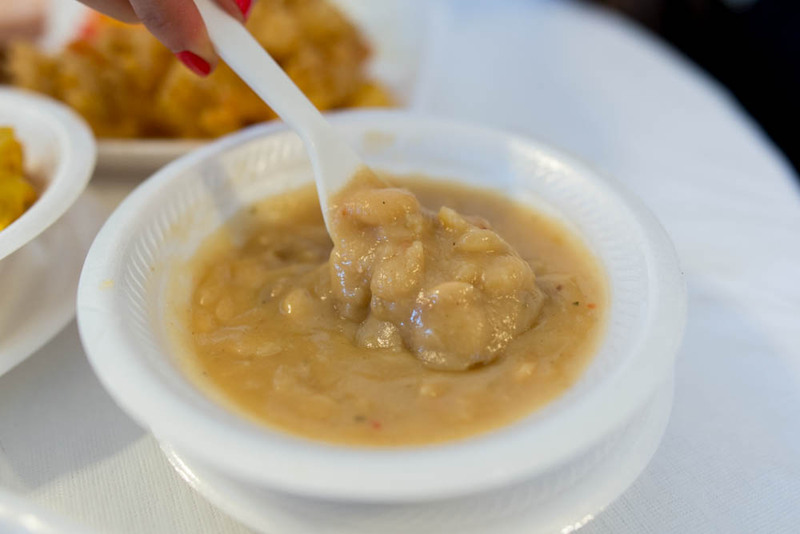 In comparison to some of the other restaurants we visited over the weekend, the pink little shack on the side of the road on the outskirts of town was bare bones. 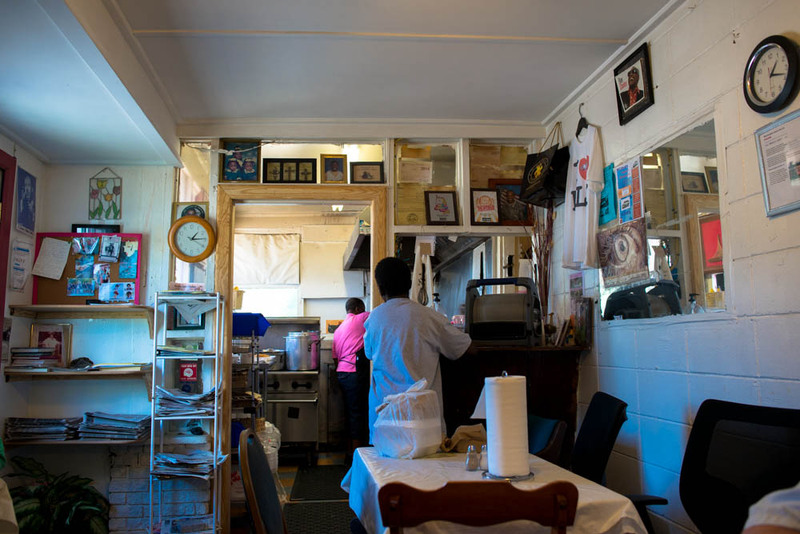 From the one room dining room with the plastic covered tables to the Styrofoam plates and bowls to the cash only policy, this was not a fancy restaurant but the meal was nonetheless fabulous and the service genuine. 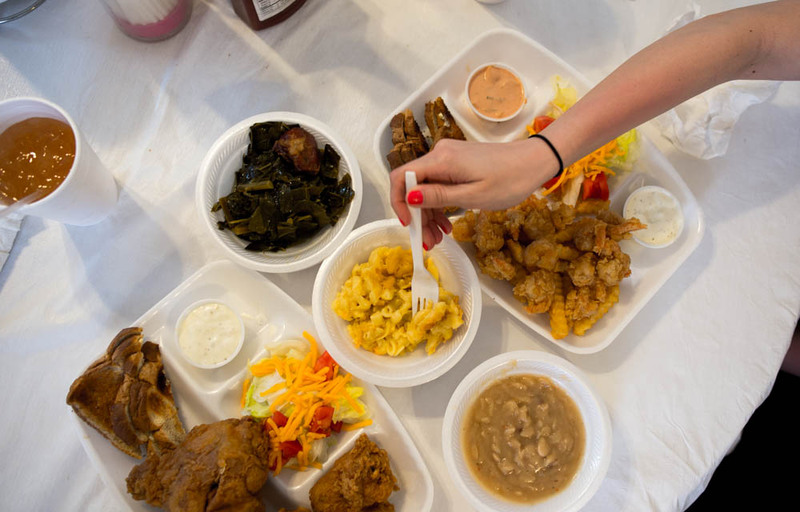 The best part was that the delicious Low country feast was all prepared by the very own Martha Lou who still is at the helm in her kitchen at over 80 years old. A cup brimming to the rim with sweet tea and we were ready to eat. 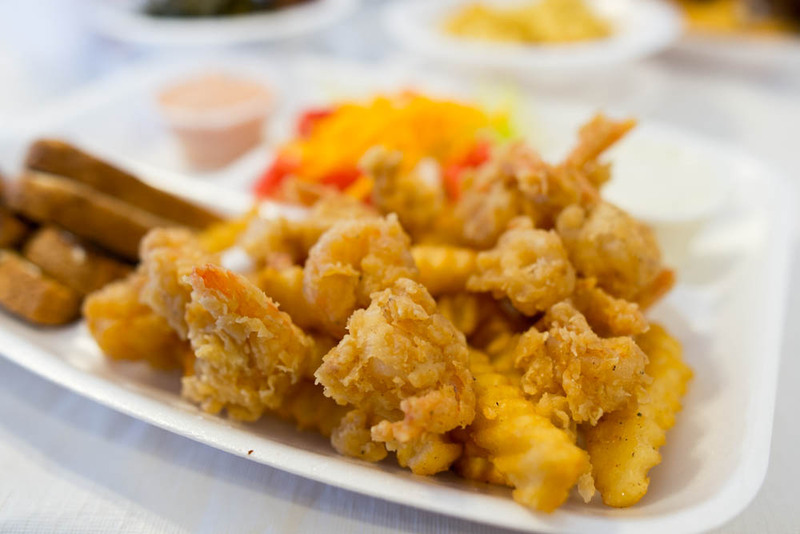 The menu here is simple, there are fried chicken, which is a must order, as well as other fried goodies such as this fried shrimp platter that was served with a simple tomato salad, crinkle cut fries and toast. Even though we were still enjoying the fried shrimp platter, the second our fried chicken basket arrived, we dropped everything. This might not look quite that impressive but trust me, one bite of the shattering crust into that juicy tender meat underneath, you will realize that there really isn’t any food better than a good piece of fried chicken. 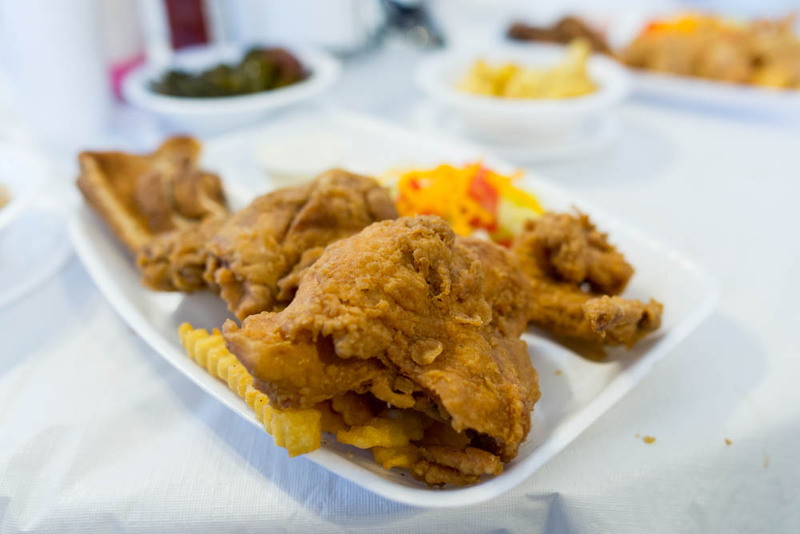 There can not be enough said about a truly quality piece of fried chicken made from a recipe that has been perfected over so many years in the same hands. 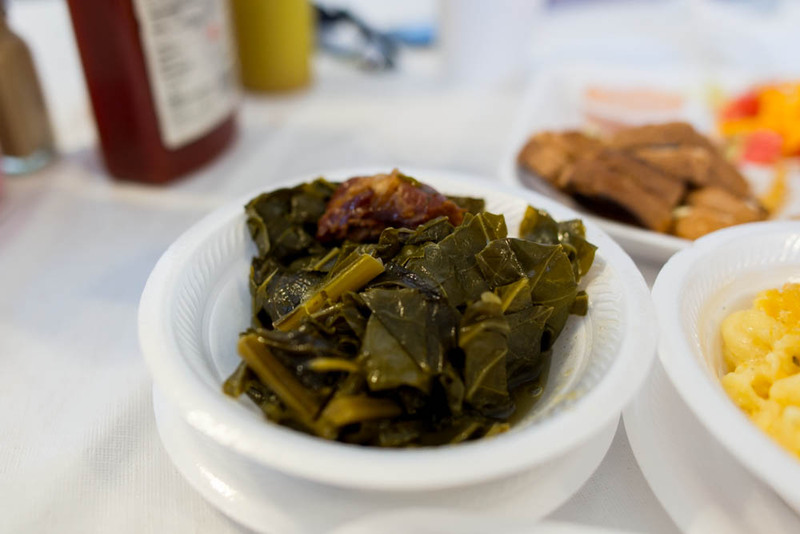 In addition to the baskets as well as some daily specials, Martha Lou’s also offers a variety of Southern sides that are almost just as delicious as the main star. 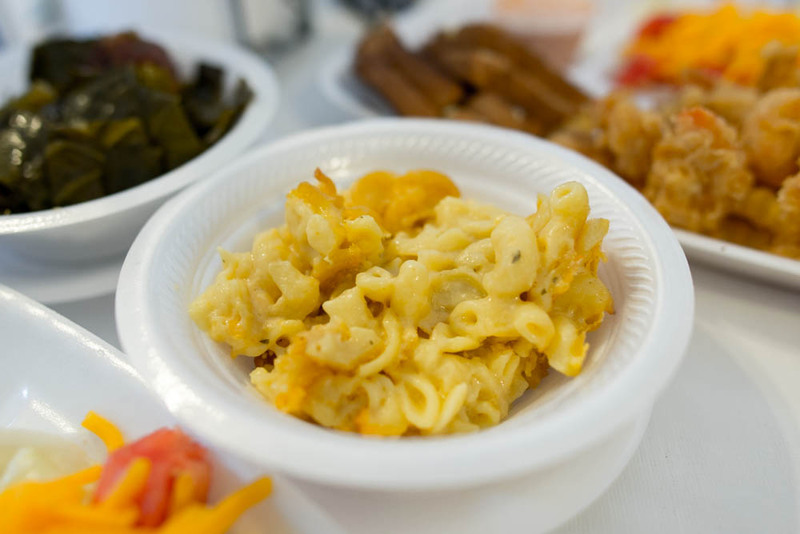 We sampled our way through a few including the baked mac n cheese, stewed collard greens with burnt ends and baked beans. 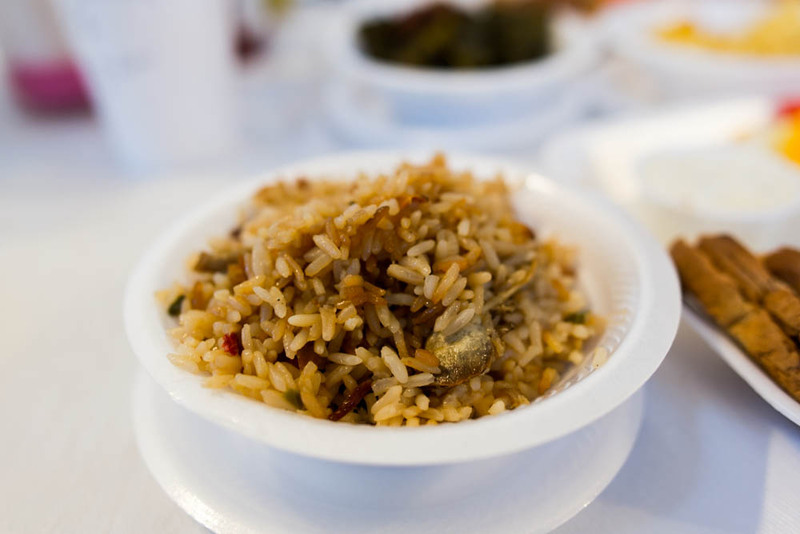 But my favorite side by far was the giblet rice. Flavorful as can be, these were infused with intense chicken flavors and even though by this point I was already full with fried chicken, I couldn’t help sneaking spoonfuls onto my plate. Now this was a feast to remember and a proper way to send us off, happy and full and already thinking about the next trip back. Hello! Beautiful blog! I was hoping to share my own personal experience at the incredible Martha Lou’s but the device containing the photos I had on it was tragically stolen. Would you mind terribly if I used one of yours?